I am learning to walk – walking with God. He has been with me on those paths that are behind me. I took the pictures yesterday morning. 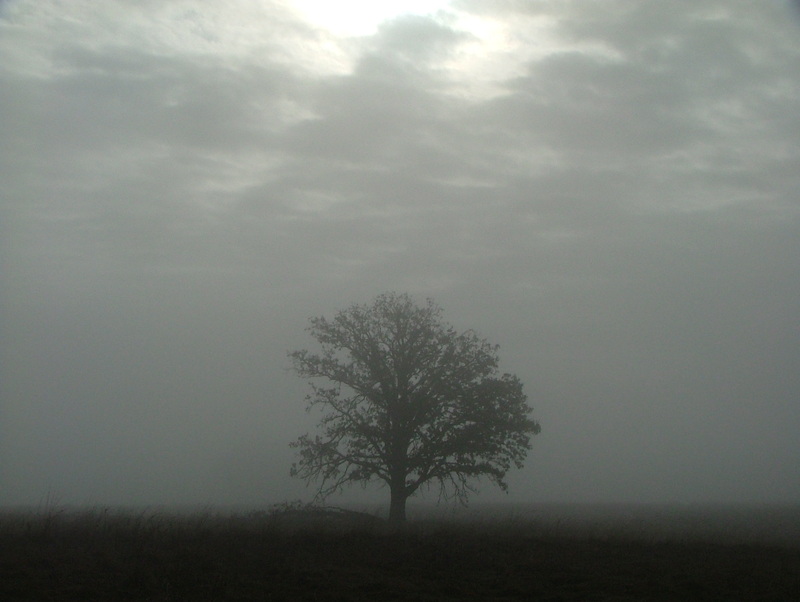 The fog was thick and the blackness of the previous night had not all been consumed yet by the new day. Then, as I continued to walk, the new day was making its way in through that paths in the forest. 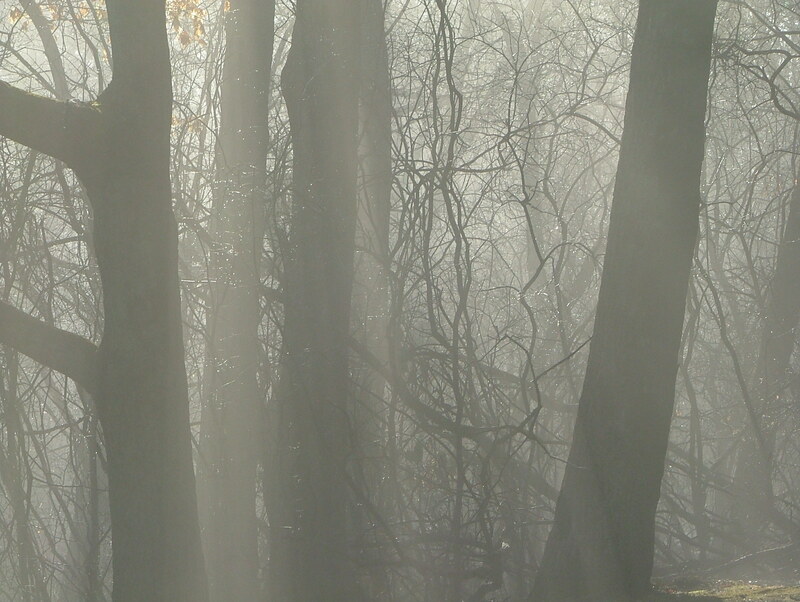 Fog lifted and beams of light turned a black and white world once again to color. This entry was posted in Christian Poetry, Devotional, poetry, Sunrises - Pictures and tagged fog, glimpses of God, humility, justice, longing, loving God, walking with God. Bookmark the permalink. Your lead picture was amazing. I’m glad I ran into your blog! Amazing God 🙂 Glad we crossed paths here ~Blessings to you! Beautiful God! 🙂 Blessings to you and your family 🙂 Love your blog! Another stellar piece. I recently wrote a piece that had strains of the same theme…i think we all are in desperate need of sight in Him. Heidi, I love your work, your artistry. The photo with the bench made me want to grab a jacket, go sit on the bench and bask in the stillness of His presence. So lovely. 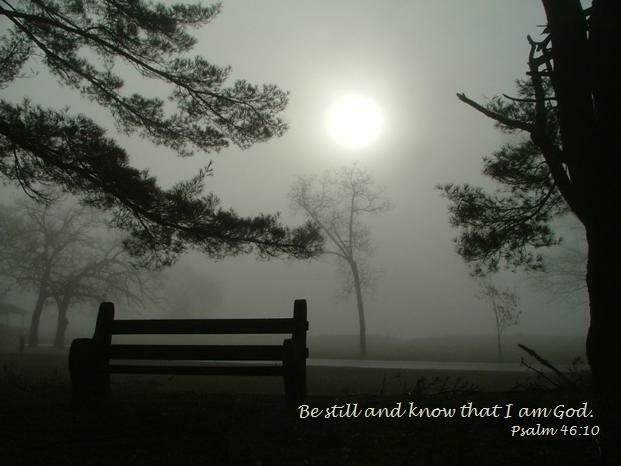 I pray you find a “bench” today… even one in your heart … a quiet place to rest and marvel and meditate on His Word! Thanks for your kind comment! It isn’t just nature that God’s light shows through. It is also people like you. You are allowing God through your blog to help push the fog of doubt, frustration, and hardship away from those who read it. The light of His grace and mercy shine and obliterates all that is contrary to His will. You photos prove this in a natural setting, but the Word of God and your reflection in your own words help defeat the powers of darkness. May God be praised. praise God … He is the Light of Life … He has come, so don’t have to walk in darkness 🙂 Thanks for your words of encouragement, dear friend! What beautiful photos, Heidi! I love the thought of God already being at my end, yet walking through the middle, too, as I learn. Lovely post! Me too, Wendy. How amazing is it that the Creator God, the Maker of the Stars and the Universe, and the Author and Perfecter of our Faith would be so intimately involved in our lives as to speak in these whispers across our longing hearts? … Love both your blogs … He has gifted you to share His Word! Heidi, this was so powerful to me. Especially how God arranges the day, for you to see Him and hear His message and then share it. I am learning to walk too, everyday. Thank you and God bless you! Your lovely devotional poem struck a chord. I’m still learning to walk, too. Thank you.